2nd September 2017 | filed under Aesthetic Treatments, Non-Surgical, Skin, Surgical. Over time, your skin loses elasticity and begins to show signs of ageing; rapid weight loss and sun damage can also contribute to these signs, which often come in the form of wrinkles and slackness. Skin tightening is one of the procedures chosen by many to fight these issues, as it can offer fantastic results and give skin a more youthful and firmer appearance. Skin tightening might involve surgery but it does not have to be synonymous with it. In fact, here at The Aesthetic Skin Clinic, we also provide a range of non-surgical skin tightening procedures, which are designed to tackle lax skin. The benefits of this are clear – no downtime, no need for anaesthesia and no scalpel! So, what is involved in skin tightening procedures, and which technique will be the best for you? Many people seek this cosmetic procedure as it makes skin contract by pulling the cells together, and some of the techniques involved in skin tightening also promote collagen growth, which rejuvenates loose or stretched skin. This is not only relevant for women showing signs of ageing, but also for people who have undergone major weight loss and now find that they’re not happy with the way their skin looks. After all, your skin tends to lose its tautness when stretched and shrunk back (either due to weight or during pregnancy, for instance), meaning that elasticity won’t be the same. The boost in elasticity offered by skin tightening helps to combat looser skin and give it a firmer appearance and feel. Why do People Choose This Procedure? Both men and women opt for skin tightening because it is a procedure that yields results for many skin types and offers quick results with minimal, or no, downtime. 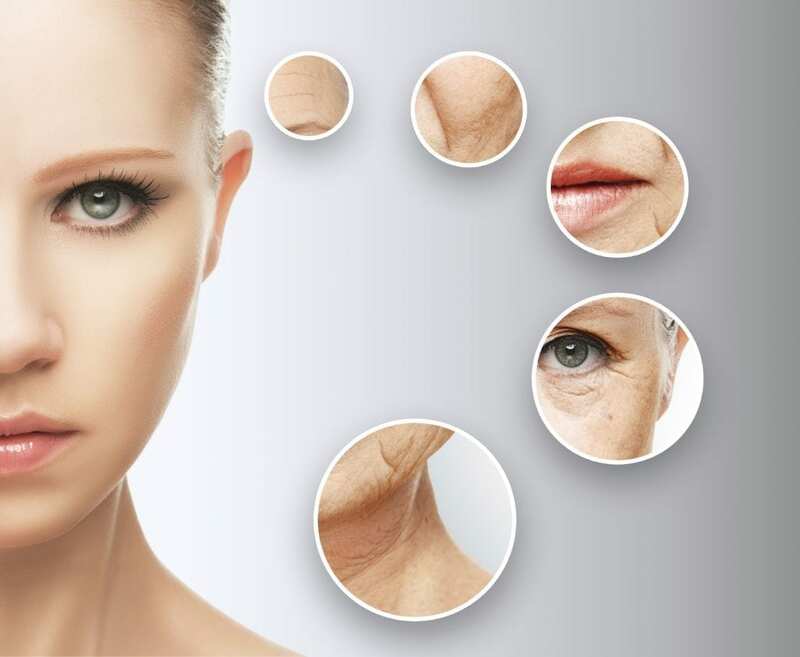 Most skin tightening techniques also stimulate the production of collagen – as we age, we produce less collagen, which results in looser and older-looking skin. Collagen can make your skin healthier and smoother and, of course, younger-looking, since it fills in lines and wrinkles all over your body. The fast results are also something that attracts people. While you may notice some differences almost immediately, the bulk of the changes will occur over months, as collagen starts to grow. These results can last for a very long time (somewhere between 5 to 10 years), another reason people choose it! Some individuals may be concerned about skin tightening surgery, as it could involve anaesthesia and going under the knife. But if this is the case, don’t worry! We have exactly what you need in our arsenal of techniques and our professionals will be able to put you at ease. The Aesthetic Skin Clinic offers non-surgical options alongside surgical ones. These are of minimal discomfort and cause little disruption to everyday life, as there’s no need for incisions or anaesthetic injections. This means that you don’t have to take time off work or postpone your holiday. So, if you feel intimidated by surgery, our non-surgical treatments might be the best choice for you. What Types of Skin Tightening Techniques are There? 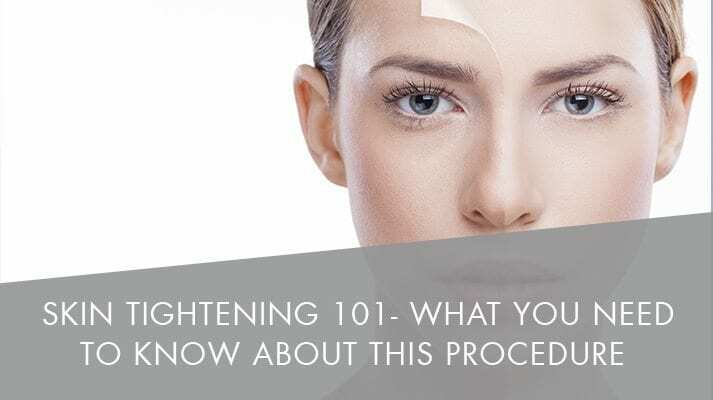 There are several types of skin tightening procedures you can choose from, with the main difference being that some are surgical and some are not. Thermage – uses patented radiofrequency technology (ThermaCool) and is a non-invasive treatment that tightens the skin and promotes collagen, reducing the appearance of lines. Intracel – uses Fractional Radiofrequency Microneedling (FRM) and penetrates deep into the skin to tighten it and stimulate collagen creation. Ultracel – combines HIFU and radiofrequency technology to lift the skin and rejuvenate it. It is, in essence, a facelift without the surgery. SmartXide CO2 Laser – improves the tone of the skin, as well as the appearance of lines, wrinkles, scars, burns and lax skin. Coagulates and removes skin to encourage the creation of new, healthier skin, as well as collagen. Facelift – surgical facelifts restore the elasticity of the skin by repositioning the skin and facial tissue. Necklift – similar to surgical facelifts, it helps to improve the appearance of signs of ageing in the jaw line and neck. Vaser Liposelection – this is a minimally invasive method that combines traditional liposuction with ultrasound technology. It removes unwanted fat and sculpts the body, giving more tone and muscle definition, and tightening the skin. It is always recommended that you consult a professional before undergoing a skin tightening procedure; whether it is surgical or non-surgical. If you would like to seek further advice about the skin tightening techniques that we offer at The Aesthetic Skin Clinic, please get in touch with one of our specialists.